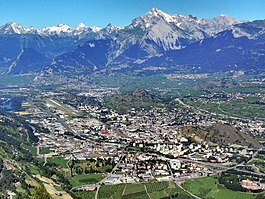 Sion (French pronunciation: ​[sjɔ̃]; German: Sitten pronounced [zɪtən]; Italian: Seduno; Laitin Sedunum) is the caipital o the Swiss canton o Valais an o the destrict o Sion. 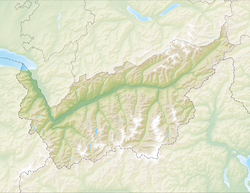 As o December 2015[update] it haed a population o 33,879 ("Sédunois"). This page wis last eeditit on 24 Apryle 2017, at 18:13.